What a Healthy Family Eats: Whole Foods raising money to put Salad Bars in Local Schools! Whole Foods raising money to put Salad Bars in Local Schools! I was shopping at the local Whole Foods in Winter Park and noticed at the checkout line that my bag refund can now be donated to the Great American Salad Bar Project! This project is taking donations and using the money to install salad bars in local schools who apply for a grant to receive the salad bar. Whole Foods in Winter Park has already raised $7,600, which is enough to install three salad bars at local schools who have applied for the program. I am super excited about this program but at the same time I believe we need to also have a program in the schools where kids have more exposure to plant based nutrition curriculum that will help them understand the importance of fruits and vegetables in their diet. Just because we put a salad bar in a school doesn't mean the kids will appreciate it or eat from it. So once I find out which three schools get the salad bars I will be contacting them about teaching Super Plant Eaters Club classes to the students. Salad bars are a positive and needed step toward better nutrition in the schools. Studies show that when kids are properly nourished with whole plant foods they excel in academics and have improved behavior at school. 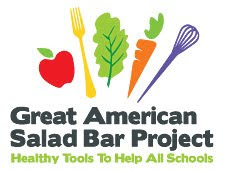 Please shop at Whole Foods or donate money online to the Great American Salad Bar Project! Very cool. I hadn't heard about this. Great idea for you to do classes at the schools who get them. Keep us posted on how it turns out! Is Organic Meat Healthier than Conventional Meat? September's Book Giveaway- Vegan Lunchbox!